It's official, Santa Ono is leaving the University of Cincinnati to become President at the University of British Columbia (UBC) in Vancouver. The Canadian university made the official announcement Monday afternoon. The university says Ono is signing a five-year contract. 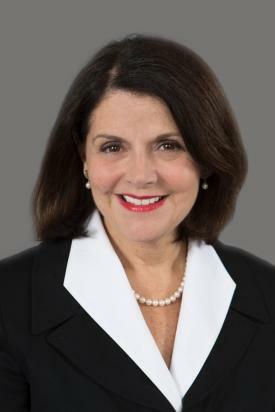 UC's interim president will be Provost Beverly Davenport. The University of Cincinnati is naming Senior Vice President for Academic Affairs and UC Provost Beverly Davenport as interim president. During Monday's announcement in Vancouver, Ono said leaving UC, Cincinnati and Ohio was a tough choice. He said he only made the decision because he feels UC is on sound footing and because the UBC opening is the opportunity of a lifetime for him. UC expects to name a presidential nominating committee next week and will conduct a nationwide search for the school's 29th leader. It is with very mixed emotions that I write to tell you that I have accepted an offer from the Board of Governors of The University of British Columbia to serve UBC as its 15th President and Vice-Chancellor. I am available to serve UC until mid-July and will transition to The University of British Columbia in August. This decision was by far the most difficult I have ever made. My six years at UC as your Provost and now President have been simply extraordinary and I am proud of what we have accomplished here together. UC has never been stronger and is positioned to continue to move from strength to strength. Ono concludes his letter saying, "UC will always have a special place in my heart. It has been an honor and privilege to serve you. I will miss you Cincinnati. Go Bearcats!" Ono became UC's top leader in October, 2012 when he signed a 10-year contract. At that time he told WVXU and local media that he planned to stay for ten years. Board members cited his enthusiasm, leadership and integrity for making the decision a simple and unanimous one. Various members describe him as having "contagious energy," "unsurpassed integrity" and representing leadership. Ono says he wants UC to be known "worldwide for doing something significant and distinctive." During his tenure at UC, Ono has become wildly popular with students, famously creating the social media hashtag "Hottest College In America." Ono was UC's first Asian-American president. He previously served as the Senior Vice President for Academic Affairs and Provost at UC. He is also a Professor of Pediatrics in the College of Medicine and Professor of Biology in the McMicken College of Arts and Sciences. Prior to UC, Ono served at Emory University. He was born in Vancouver and earned his PhD at McGill University and his BA at the University of Chicago. Multiple reports and a source confirm University of Cincinnati President Santa Ono is expected to be announced as the next head of the University of British Columbia. He's been on the job since October but Friday the University of Cincinnati ceremonially welcomed Santa Ono as UC's 28th president. During his investiture speech, Ono highlighted the university's historic and influential past citing notable graduates and research breakthroughs like Albert Sabin's polio vaccine. University of Cincinnati President Santa Ono is getting a 10-year deal to the lead the school. 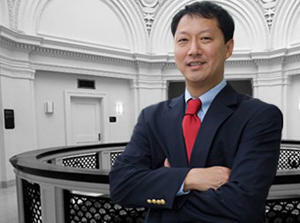 The University of Cincinnati trustees Tuesday voted unanimously to pay Ono a base salary of $525,000 per year. That salary will be reviewed annually. He's also eligible for yearly bonuses. His contract runs October 23, 2012 through October 22, 2022. Ono will also have use of a university car and have all job-related travel and entertainment expenses reimbursed. The University of Cincinnati has a new president. Trustees this morning named Interim President Santa Ono the 28th president of UC.